I first learned the lesson of persisting—even after you’ve been knocked down—from my hardworking parents. As a young man, my voice went hoarse. I was diagnosed with thyroid cancer, and I did not have health insurance. This experience reinforced what I had learned from my parents. Later in life, my second cancer, leukemia, again taught me that important lesson. Many of us felt knocked down by the November 2016 election. Worse, the Sunday before that election my father died. It made me think deeply about how I can best help others and protect the environment. The many lessons my parents had instilled in me came flooding back. I knew I could make my most effective contribution to the people and place that I love as a Boulder County Commissioner. I’ve served for 14 years as a state lawmaker, during two separate time periods. My strong values drove my leadership on renewable energy freedom, public land protection, education opportunity, and transportation transparency. 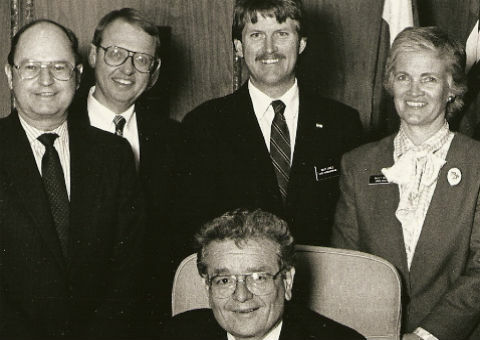 I served in the Colorado House of Representatives from 1986 to 1992, where I held the post of Assistant Minority Leader under Ruth Wright and shared an office with Dorothy Rupert. 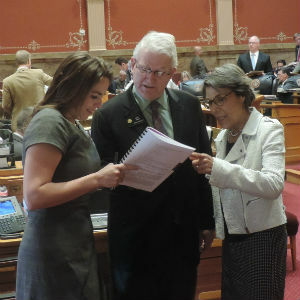 In 2010, I returned to the Colorado House, serving for two years before being elected to the State Senate in 2012, representing Longmont, Lafayette, Louisville and the Boulder County side of Erie. I took on a leadership role as Senate Minority Whip and worked directly with Assistant Minority Leader Rollie Heath. Currently, I serve as Deputy Minority Leader for Conservation, Clean Energy and Climate Change. As a legislator, I’ve always understood that the role of an elected official includes listening to the people, and being responsive though frequent town halls, personal conversations, and digital communications. These values were instilled in me by my parents, and my determination to push forward has helped me protect and promote the values that Boulder County lives by. I learned from my parents that you work to help others and protect the place where you live. As school teachers they were models of how to help others achieve their dreams. My father was my elementary school principal (I don’t recommend this for kids or parents) and a special education professor, and my mom was teacher. They instilled in me the power of a good education as a gateway to a better future. That is why I went on to earn a master’s degree in Political Science, focused on natural resource management. And why I was so proud when my daughter Jessica graduated from college with honors. It’s also why I am so passionate about the issue of education. It is so critical for the county to partner with local schools to improve students’ futures and support early childhood education. When I was a kid in Laramie, we didn’t have much money. But we had access to the great outdoors. I learned the healing power of nature. I also learned that these lands require protection from development and exploitation. My love for the outdoors propelled me to protect our natural lands. 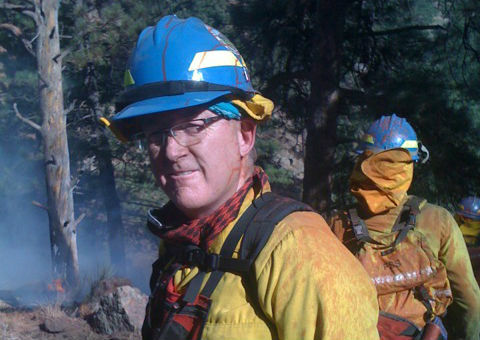 For 18 years I worked as a planner and manager and wildland firefighter for City of Boulder Open Space. This experience gave me a deep knowledge of working with the public, planning management actions, and working to run an efficient and effective local government organization. Better yet, during this time I met my wife Shari who inspires me to be a better human being through her intelligence, compassion, and humor. 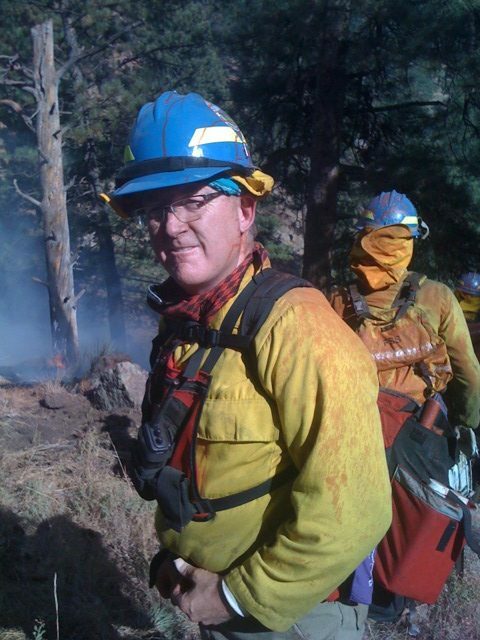 I will never forget as an open space firefighter in September 2010 on the Fourmile Fire watching a dark plume of smoke containing a family’s life possessions drift skyward. Or September 2013 as a state senator barely getting home from a West Slope Transportation Committee hearing before the roads were flooded and impassible. Then the next day listening to the rescue helicopters clatter overhead and watching huge-tired army vehicles haul evacuees from Lyons to Longmont. Combining my years of legislative experience and listening to people and local officials about their needs enabled me to push through several flood recovery bills. Knowing that global warming was making fires, floods, and drought disasters even worse hardened my resolve to fight even harder for clean wind and solar over dirty oil and gas. This fight has never been more important with what is going on Washington, D.C. Clean energy solves health problems and creates good jobs. I helped push through higher wind and solar requirements for electric utilities and expanded the PACE program state wide that provides small businesses an option to cheaply finance energy efficiency and solar improvements. I was named Conservation Colorado’s environmental champ for 2015 for these efforts and for staunchly defending our public lands. But adding clean energy is half the solution–we also must stop using dirty coal, oil, and gas. I have been fighting fracking since returning to the legislature in 2010 by running twenty bills and fighting off oil industry bills. My experience as a state representative from 1986 to 1992 helped me quickly start the fight with 50 lobbyists to pass legislation that increased maximum fines on rule breakers tenfold and worked to double the number of oil and gas inspectors. I also ran bills to enable local governments to say no to drilling and fracking, make public health the top priority over corporate profit, and make it harder for oil companies to condemn private mineral property for profit. Serving on the House and Senate Transportation Committees made me realize that Boulder County often gets the short end of the funding stick. The US 36 fifty-year private deal or Northwest Rail completion being pushed off from 2017 to 2042 are exhibits A and B. My bill to bring more transportation transparency and oversight to private deals like US 36 was vetoed, but that has not stopped me from pressing transportation issues. These experiences make me want to fight even harder for Northwest Rail and our fair share of tax dollars. I promise you I will use my life experience, legislative and local government know-how, and persistence to fight for a better future for Boulder County families and our environment. My life’s path has prepared me for this job. Please join me. Working with Minority Leader Guzman and Senator Donovan on a rules question before fighting for wind and solar during floor debate. Governor Romer signing my first bill in 1987 enabling Coloradans to consolidate their student loans. 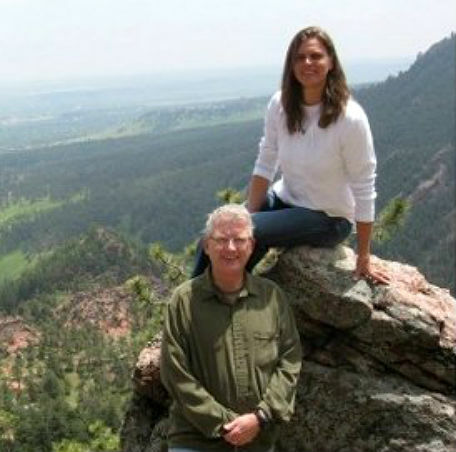 My wife Shari and I on Flagstaff Mountain near the amphitheater where we were married. 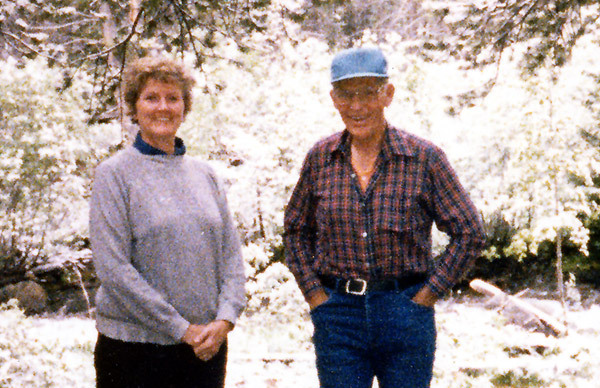 My parents Betty and Will Jones at a cabin in the Snowys near Laramie. The 2010 Dome fire just west of Boulder, one month after fighting the Fourmile fire. 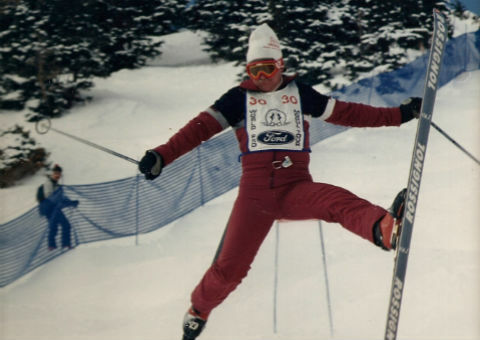 On the Pro Mogul Tour at A-Basin. 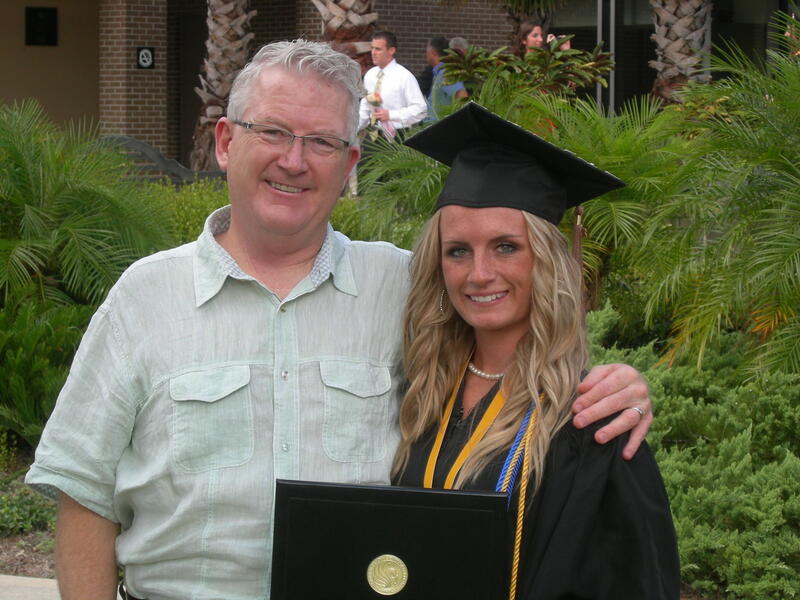 Proud Dad with my daughter Jess graduating from college.